For me, 1991 was a memorable year to be 14 years old. The media coined it "grunge" but we all thought that was such a silly way to describe this phenomenon of bands like Nirvana and Mudhoney becoming popular. Out was the glam rock, eyeliner, spandex bands of the 80's and in was this raw, new teenage angst for MTV to gobble up. Many words have been written by my much more experienced writers than I on this subject, so I'll spare the personal details. All the while, Sonic Youth had been crafting this style of music, right over the bridge in New York since the mid 1980s. One might say Sonic Youth was wearing flannel shirts and playing jazzmaster guitars before those things became in vogue, and with that you can expect some more insightful, mature musicianship from them when it comes to the alternative rock genre. It spoke to me because it walked that fine line between absolutely genius while still being so accessible that you could start a band that sounded similar (just not as good). 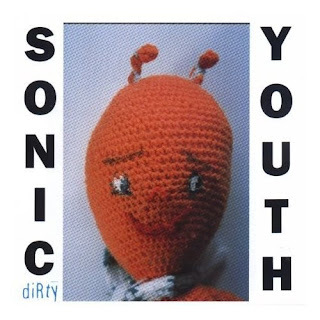 This is probably the best produced Sonic Youth album, in my humble opinion. The guitars have such a great tone and there's good sensibility to the mix. This can prove difficult with more noise oriented tracks, but they pull it off great here. My only complaint here is that on some tracks the drums are a little dry sounding. They don't carry a huge "roomy" sound on all the tracks. When it's applied though, the extra reverb on the drums goes a long way (Check out the song "Wish Fulfillment" for an example off both the feedback guitar and roomy drums). The record starts off slow with "100%" which almost has a "let us introduce ourselves vibe" in which the listener is not hit full blast yet. "Swimsuit Issue" comes in after and gives the listener more of what they may expect in this album with upbeat tempos and superb distorted bass. This is the first of bassist Kim's vocal leads, which are extremely well done on this recording. On other tracks like the deliberately forceful "Drunken Butterfly" and more subdued songs like "Shoot" or "On The Strip" her voice compliments the music perfectly. As the vocal duties switch between Kim and guitarist Thurston, there is still consistency. Mainly I would attribute this to the fact that they maintain the same mood. "Theresa's Sound World" is a standout track for me on the album. It carries a beauty within it's constant buildup that is filled with textures of guitar melodies while the drum and bass maintain a great foundation. When the drums go full tilt into their blast beat frenzy it's quite powerful. The other standout track I'll discuss here is "Chapel Hill". The melodies and guitar leads in this song sound so infectious to me. They get stuck in my head and never want to come out. Thurston's voice matches the mood and lyrics perfectly here. After the second chorus the band takes us on an instrumental journey filled with upbeat twists and turns. They detour from the conventional song structure to visit some classic Sonic Youth noise making, but only for a moment before the drums take us back to the wondrous guitar solo introduction. 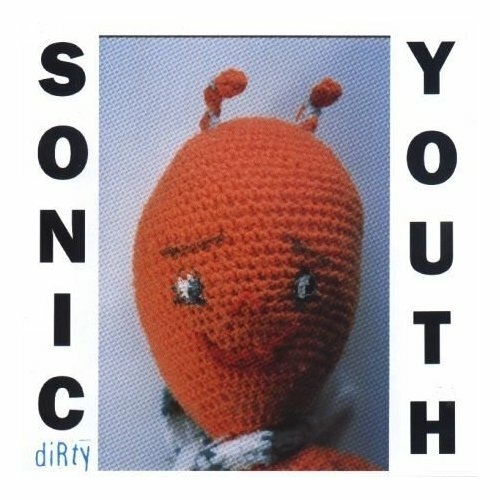 There's not much I miss about being 14 years old, but I thank Sonic Youth for this memento. The inspiration and excitement I had as a beginner guitar player when I heard this record had me up late writing songs and motivated me to approach a microphone (for better or worse).